Book two in the Turning Point Series. As guilt plagues him, Matthew Elliott's world begins to spiral out of control. The harder he holds on, the more it slips through his fingers, and he's helpless to stop it. Entering into the underground cage-fighting scene, he starts out fighting for what's right. The deeper he gets, the more guilt consumes him - the more pain he takes for his penance - and he's soon fighting for more than justice. I never give five stars, but this was a solid book. Well written. Great narration by Sean Crisden, one of my fave narrators. Not perfect, but darned great! This is the second instalment in the Turning Point Series about Matthew and Kira (M/M romance). 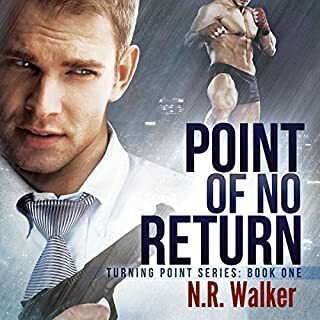 You need to read book 1, POINT OF NO RETURN first (a stand-alone with a HEA) to enjoy BREAKING POINT. 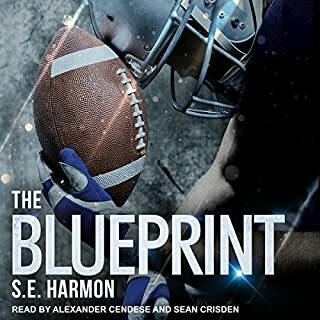 In the Audible version we get the great pleasure of experiencing the story through Sean Crisden's narration - just wonderful. As with the first book, this one was well-written with likeable main and supporting characters that are easy to care about and love. I thoroughly enjoyed the journey it took me on, ending withOUT a cliffhanger even though there is a third book in the series about the same main characters. For this reason I appreciate this writer's treatment of me as a reader. I can stop here if I want, having experienced a complete story. I couldn’t stop though; I went on to listen to book 3 as well. Highlights for me included the incredible relationship shared by Matthew and Kira who are people of extraordinary character. Their relationship is tested as Matthew’s world changes in this novel and he races along a downward spiral. Wrenched away from his close work colleagues, the consequent pain he feels is realistically portrayed. Although he establishes warm relationships with a new set of co-workers, he risks losing them too. The emotional ride in this book is well paced and surprising. Kira and his exceptional parents show their true, unconditional love and support when Matthew needs them most. However, this book isn’t perfect. Despite being a strong character, Matthew sometimes sounds weak when he fears losing Kira. Matthew is crumbling under a mountain of guilt and we know from book 1 what might be causing some of it. The other reason is revealed during this book, and not all at once. As a reader, I needed to know from the start how Matthew was roped into this new life. Also, it was hard to accept that the organisation Matthew worked for would allow him to take serious personal risks alone the way he did. But I am nit-picking. The positives of the story far outweigh the negatives. 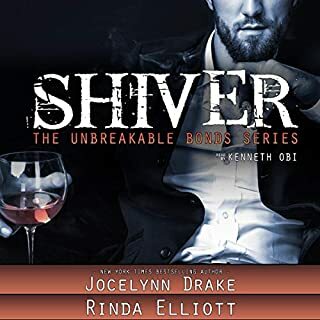 I recommend this novel for lovers of M/M romantic suspense, and especially the Audible version. Sean Crisden’s performance is perfect. Sean is my all time favourite reader I wish he had done more books, the characters in this book are made real by him, their emotions, their thoughts, all of it hit me deeply and kept me sat listening with worry and concern and intrigue from start to finish. To say I loved this book is an understatement. 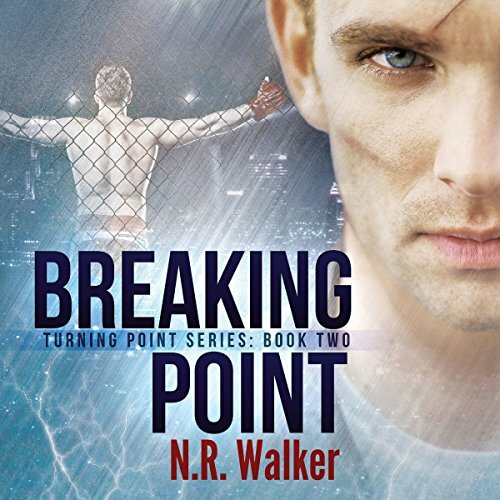 ’Breaking Point’ picks up a few months after Book 1 of the Turning Point Series ended. That book had a satisfying ending. It, like this book, is a stand-alone. That being said, this is N.R. Walker, one of the few authors who can create a couple whose story is so compelling that they need three books for their arc of love to be properly told. Basically, what happens after Happily Ever After? Well, this book starts with a stunning event – Matt is retiring from the police force. Eleven years in and he’s walking away. Kira, the man Matt loves desperately, is struggling to understand. Matt joined the police force the day he turned eighteen and has always loved being a cop. Being a police officer is as much a part of him as his good looks, but it is no longer enough. So, come Monday, he’s joining The Fight Club (FC) and is going to train in Mixed Martial Arts (MMA). I’m going to insert at this point that I know nothing about MMA except for commercials with quick shots of guys fighting in cages. Those I turn off as fast as I can. That’s not my thing. Violence doesn’t appeal to me. And make no mistake, there is violence in this book. With N.R. Walker penning it, though, the action in this book is always contextualized, necessary, incredibly well-researched, and brilliantly written. Kira isn’t pleased about Matt’s choices, but is willing to support him. In fact, the day after his retirement, Kira and Matt are making out in the kitchen when Kira mentions his mother expects them for dinner. Matt points out that mentioning Yumi when he has Kira’s balls in his hands might not be the best idea. Talk about risking the mood and erection. Matt is also able to admit to himself that he likes Kira caring for him and never saw himself as a true bottom until Kira. Matt is in no way a submissive in the traditional sense. He’s more of a man who has met someone who allows him to feel comfortable being vulnerable. But Matt is consumed with guilt. Because of Matt’s job, Kira was kidnapped and brutalized at the hand of a monstrous drug kingpin. Kira’s physical injuries have healed and through his friendship with the other women who had been terrorized (the wives and girlfriends of Matt’s teammates on the squad), Kira is well on his way to healing the emotional scars as well. Matt, on the other hand, is not coping. Despite regular sessions with a psychologist (with couples sessions as well), he just can’t get past the guilt. And the fear he’ll put Kira in danger again. So, to protect the man he loves, Matt lies to him. And it’s a whopper of a lie. To try to cope with his emotions, Matt throws himself into the physical training for the MMA – more rigorous than anything he did for the police force or even the paces Kira put him through as Matt’s kickboxing coach. Those lessons stand Matt in good stead and he is able to quickly make a name for himself in the underground fight world where there are no rules and it often feels like a fight to the death. First, though, Matt has to endure a series of increasingly vicious fights to achieve his final goal. In these matches that are growing more violent and more dangerous, Matt has found a way to exorcise his demons – or so he believes. He has also become bloodthirsty, showing a side of himself that bewilders Kira and Kira’s parents. Kira can see something is wrong, but has no idea how to fix it. He can’t figure out how to help Matt work through his guilt and whatever other crap is going on in his mind. “Yes I am,” I said, knowing I wasn’t. I wanted to feel this. I wanted it to stretch and burn. I wanted it to hurt. As with Book One, this book is told entirely in Matthew’s point-of-view. Even so, I felt and empathized with Kira’s confusion and pain. Anyone who has watched someone they love self-destructing and are powerless to do anything knows the confusion and hurt. There are good things in Matt’s life and sometimes he is even able to appreciate them. Kira’s parents are phenomenal, supporting their only son unconditionally and accepting Matt as if he were their own child. As an orphan, Matt finds this love wonderful, but I think, at times, overwhelming. And now that Yumi sniffs an engagement in the making, she’s dropping broad hints about a wedding and even babies. Yumi and Sal are fabulous secondary characters. So are Boss and Cody, as well as Emile, Jamal and Pete. It’s Arizona and his girls who I really loved. Even Matt’s former co-workers make cameos in the book, although their presence only serves to emphasize Matt’s isolation. There are two fights in this book that are beyond vicious and I think one would have led to death had it not been stopped. So be prepared for the violence. The violence serves a purpose and is not just there for titillation. In the end, Matt has to face his demons. He has to look in the mirror and accept that the guilt he feels over Kira’s kidnapping is eating him alive. And his newfound thirst for violence comes more from a desire to be hurt than to cause injury to others. I cried while listening to this book. Big surprise, right? N.R. makes me feel things. Challenges me to face my own demons as her characters face theirs. Let me tell you, this can be tough. As always, though, this book gave me hope. It brought me happiness. Plus, it showed me the power of forgiveness – to others, but mainly of ourselves. And although the end is a mix of pain and happiness, Kira and Matt have survived. The end also sets up the next book quite nicely. Finally, there’s Sean Crisden. I really enjoy his narration and given that Matt, Kira, and most of the characters are American and living in L.A., he is perfect. Also, his interpretation of Kira’s Japanese mother, Yumi, is pitch-perfect. He does well without falling into a caricature. Also, there is a special character whose speech is difficult and Sean handles it deftly. I can’t wait for Book three, where N.R. and Sean are bound to make more magic. both the author and narrator did a great job with this book. this is a wonderful continuation to the story. I understand the internal struggle that Matt was facing and why he felt he needed to do what he did. I get why he lied the entire time and while it was hard to read it still works out in the end, sort of. As always my favorite characters are Kyra's parents, esp his mom. if you enjoy the first book then I will definitely pick this one up. And sense I've already read the third book, I would definitely recommend you go ahead and get that as well. Wow...this one hurt, a lot. After what happened to Kira in book one Matt is just…broken. I normally hate to use that description, leaning more toward bent or something similar but those words just aren’t strong enough to describe how far gone Matt has fallen. And it takes him hitting absolute rock bottom to stop the cycle. And what’s worse is he takes Kira down with him. And this is going to sound kind of crazy but I love that they aren’t 100% fixed at the end of the book…they’re on their way to healing but there isn’t a ‘OMG the book is about to be wrapped up so I need to fix everything and everyone even if it doesn’t make sense’ rush at the end. There were a couple of nice little surprises in this one as well as some great new characters and I love where Matt ends up. And here I go straight on to book 3! I had forgotten the emotional toll this book takes. This is not a standalone, and takes place right where book 1 leaves off. NR Walker is great at giving us these complex and somewhat broken but not completely broken characters. Matt is losing it but can’t tell Kira and it’s killing them both. 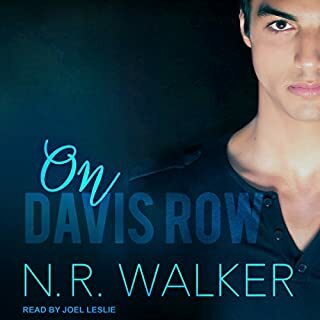 Luckily – we find out that love can conquer all – but… and here’s where NR Walker does something amazing – Kira and Matt agree that their relationship needs WORK and that it’s not just enough to say “I love you” and everything is sunshine and roses. I really appreciated that nod to reality with this story. The sexual chemistry is still there, but it is tempered by the emotions and does not preclude real discussions. As usual Sean Crisden manages to continue to impress the hell out of me with his ability to show emotions and keep all the myriad characters separate and the action from dragging and …. Well everything! He absolutely adds to the overall experience and this is highly recommended! Breaking Point returns us to Detective Matthew Elliot as he embarks upon his biggest investigation since the Tomic case, quite possibly of his entire career. That’s a little bit of a spoiler, but as it’s something you learn very early in the book, I’m okay with disclosing it because it weighs heavily on my review. Before I devolve into what is going to come across as a gripe-fest, let me state clearly that I absolutely loved this audiobook. The tension came from an entirely different source this time around, but I was still glued to my Echo Dot, listening intently because I needed to know how things were going to play out for Matt. Knowing that there’s a third book in the series only alleviated my fear that Matt wouldn’t make it out alive, but as I haven’t read the blurb for Starting Point beyond the mention of Matt recovering, his survival was the only outcome I was certain of when things started getting dicey in Breaking Point. There are two main sources of conflict in the story, one external and one internal. The external source was the undercover investigation Matt embarks upon. This part of the storyline produces a level of action and suspense similar to what we saw in book one because of the criminal elements and the danger inherent to his job. The internal conflict nearly drove me nuts. Why? Because I was too far into Matt’s head, feeling his sense of isolation, his guilt, his anger, his fear, and his anxiety. Between Walker’s wordsmithing and Crisden’s performance, I felt as though I was being dragged down Matt’s rabbit hole, whether I wanted to be or not – and I didn’t want to be. The rational side of my brain is screaming at Matt, “Why haven’t you taken any time in the past year to discuss the possibility of undercover work with Kira?!?! ?” Wondering more than once why he wouldn’t let Kira know there was an ongoing investigation without telling him the details, especially after I got the impression that it was Matt’s decision to keep it a secret from Kira, not a mandate from his boss. Matt’s internal conflict trampled all over my last nerve because it’s so well done and feels so real. As a reader, Matt’s withdrawal and sense of guilt over lying to Kira seems overblown. His internal insistence that he’s no longer a cop – while he’s working undercover – is absurd and annoying and reeks of self-pity, but I suspect that’s the point. Matt’s isolation from all members of the force puts a huge strain on a man who is used to constant camaraderie. This, in turn, puts a strain on his relationship with Kira. And while, to an outside observer such as myself, it seems overdramatized, I worry it’s not and that far too many in law enforcement find themselves in similar situations. With that said, I still wanted to smack Matt Moonstruck style and tell him to snap out it. Contradictorily, the psych student in me was fascinated by how Matt’s guilt surrounding Kira’s abduction in book one resurfaced in some extremely dangerous ways. And while the story is told from Matt’s point of view, I still found myself wanting to pull Kira aside to tell him to stay strong, not to give up on Matt, and to THINK about who the man he loves is at his core!!! I was irrationally annoyed that Kira didn’t figure out what was going on, while wanting to comfort him at the same time. And then, when everything went down as it did and the fallout from it, oh, my heart hurt for both men. Not surprisingly, I was exceedingly pleased when Yumi made her dissatisfaction about the investigation known at the end of the book (hehe). It’s odd not to say the ending was perfect when reviewing an N.R. Walker book, but not only does Matt’s story continue in book three, he also paid a really high price to close his investigation and it left me conflicted. Because of that, I am, for once, very happy that I’m a tad behind on my reviews as I have the audiobook for Starting Point cued up to listen to next. Regarding the narration, I was very pleased to see that Sean Crisden had reprised his role as Detective Matt Elliot. Crisden did such a good job in creating voices for the main cast of characters in Point of No Return that I cannot imagine someone else at the mic. The narrator not only expresses the despair and darker emotions Matt experiences this time around, but Crisden also makes Kira’s worry, resignation, and anger so obvious that you cannot miss it in a single word. 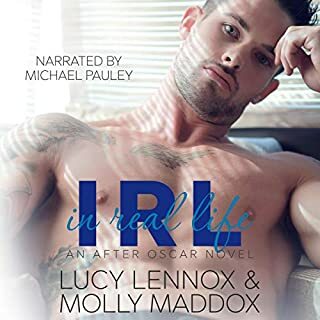 However, I must admit that the snicker-inducing jock strap shopping scene was even more entertaining in audio versus reading it. Yet none of it compared to the level of emotion shown when Matt and Kira finally reconnect or with what happens in the final chapter – something I’ll leave as it’s meant to be, a surprise for other readers. Now I’m off to listen to Starting Point because I must know if Walker has given these two men the happily ever after they’ve earned with their blood, sweat, and tears. Told from narcotics detective, Matthew Elliot’s, single POV Breaking Point begins almost a year after Matthew and Kira Franco met in Point of No Return and they are still very much in love. The story begins with Matt seemingly retiring from the police force to become a MMA cage fighter. To give too much away would spoil the drama, which I really don’t want to do, but you need to know Breaking Point is a roller coaster of emotion with the angst dialed up to 11, folks. There’s lots of drama, action, and even heartbreak. N.R. Walker puts Matt and Kira through the wringer, testing their bond and love for one another to the breaking point. This was an entertaining listen. I absolutely love Sean Crisden’s performance of these characters and he (and N.R. Walker) even managed to drag a couple of tears out of me…again. Yes, there were tears but we are given a wonderful, sweet HEA ending to make up for everything we’re put through to get there. If you read/listened to and enjoyed Point of No Return I highly recommend continuing the series with Breaking Point. Great narration, lots of action and emotion, and I am super glad I have the third, and final, installment in the Turning Point series, Starting Point, to jump into right away. This is the second book in a captivating trilogy and as such should really be read/listened to in order. We find Matt and Kira dealing with the aftermath of the events in the first instalment, Turning Point. Matt is heavily weighed down with guilt over what happened to Kira and vows to protect him from anything like that again. He keeps a big secret from Kira in this book and whilst I understood it was from a place of 'protection', I could totally understand Kira feeling hurt over the lies and betrayl. This is a darker toned book but it's just as gripping as the first, a lot happens and we are introduced to some great new characters.You really do feel a lot of emotions in this one and that has as much do with the brilliant narrator, Sean Crisden, as with the story. I was really pleased to see that Sean was narrating all of the trilogy as he did such a great job with Turning Point. He voices Matt and his emotions so well. He also nails the voices for the new characters, especially the FC fighters like Arizona too, keeping them very distinct. His rhythm and timing are impeccable and that makes listening to this audiobook both easy and extremely enjoyable. I highly recommend this one & you will immediately want to dive into Starting Point, the last in the trilogy to find out how everything turns out.